"Lymphatic drainage" redirects here. For the massage technique, see Manual lymphatic drainage. The blood does not come into direct contact with the parenchymal cells and tissues in the body (except in case of an injury causing rupture of one or more blood vessels), but constituents of the blood first exit the microvascular exchange blood vessels to become interstitial fluid, which comes into contact with the parenchymal cells of the body. Lymph is the fluid that is formed when interstitial fluid enters the initial lymphatic vessels of the lymphatic system. The lymph is then moved along the lymphatic vessel network by either intrinsic contractions of the lymphatic passages or by extrinsic compression of the lymphatic vessels via external tissue forces (e.g., the contractions of skeletal muscles), or by lymph hearts in some animals. 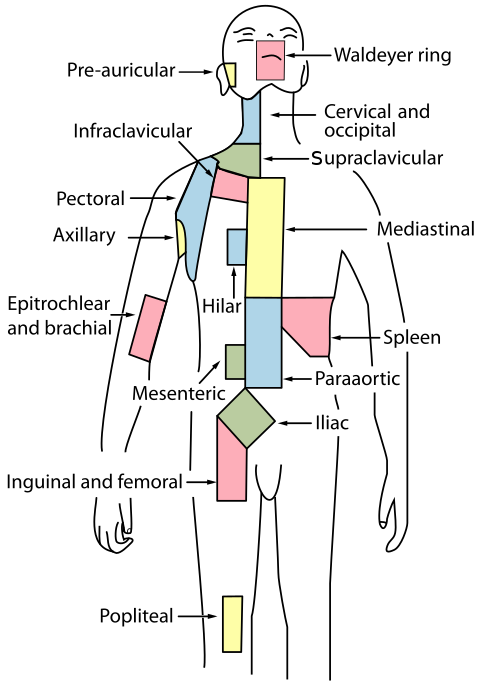 The organization of lymph nodes and drainage follows the organization of the body into external and internal regions; therefore, the lymphatic drainage of the head, limbs, and body cavity walls follows an external route, and the lymphatic drainage of the thorax, abdomen, and pelvic cavities follows an internal route. Eventually, the lymph vessels empty into the lymphatic ducts, which drain into one of the two subclavian veins, near their junction with the internal jugular veins. The primary or central lymphoid organs generate lymphocytes from immature progenitor cells. Clonal selection theory is a scientific theory in immunology that explains the functions of cells (lymphocytes) of the immune system in response to specific antigens invading the body. The concept was introduced by the Australian doctor Frank Macfarlane Burnet in 1957, in an attempt to explain the formation of a diversity of antibodies during initiation of the immune response. The theory has become the widely accepted model for how the immune system responds to infection and how certain types of B and T lymphocytes are selected for destruction of specific antigens. Secondary lymphoid tissue provides the environment for the foreign or altered native molecules (antigens) to interact with the lymphocytes. It is exemplified by the lymph nodes, and the lymphoid follicles in tonsils, Peyer's patches, spleen, adenoids, skin, etc. that are associated with the mucosa-associated lymphoid tissue (MALT). The thymus is a primary lymphoid organ and the site of maturation for T cells, the lymphocytes of the adaptive immune system. The thymus increases in size from birth in response to postnatal antigen stimulation, then to puberty and regresses thereafter. The loss or lack of the thymus results in severe immunodeficiency and subsequent high susceptibility to infection. 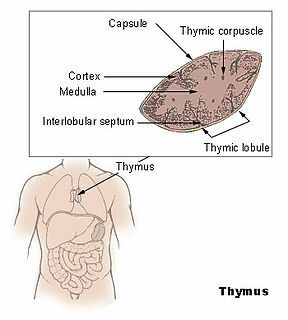 In most species, the thymus consists of lobules divided by septa which are made up of epithelium and is therefore an epithelial organ. T cells mature from thymocytes, proliferate and undergo selection process in the thymic cortex before entering the medulla to interact with epithelial cells. to remove particulate matter and aged blood cells, mainly red blood cells. The spleen synthesizes antibodies in its white pulp and removes antibody-coated bacteria and antibody-coated blood cells by way of blood and lymph node circulation. A study published in 2009 using mice found that the spleen contains, in its reserve, half of the body's monocytes within the red pulp. These monocytes, upon moving to injured tissue (such as the heart), turn into dendritic cells and macrophages while promoting tissue healing. The spleen is a center of activity of the mononuclear phagocyte system and can be considered analogous to a large lymph node, as its absence causes a predisposition to certain infections. A lymph follicle is a dense collection of lymphocytes, the number, size and configuration of which change in accordance with the functional state of the lymph node. For example, the follicles expand significantly when encountering a foreign antigen. The selection of B cells, or B lymphocytes, occurs in the germinal centre of the lymph nodes. Lymphoid tissue associated with the lymphatic system is concerned with immune functions in defending the body against infections and the spread of tumours. 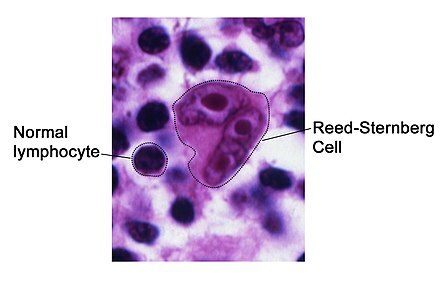 It consists of connective tissue formed of reticular fibers, with various types of leukocytes, (white blood cells), mostly lymphocytes enmeshed in it, through which the lymph passes. Regions of the lymphoid tissue that are densely packed with lymphocytes are known as lymphoid follicles. Lymphoid tissue can either be structurally well organized as lymph nodes or may consist of loosely organized lymphoid follicles known as the mucosa-associated lymphoid tissue. Lymphatic tissues begin to develop by the end of the fifth week of embryonic development. Lymphatic vessels develop from lymph sacs that arise from developing veins, which are derived from mesoderm. The first lymph sacs to appear are the paired jugular lymph sacs at the junction of the internal jugular and subclavian veins. From the jugular lymph sacs, lymphatic capillary plexuses spread to the thorax, upper limbs, neck and head. Some of the plexuses enlarge and form lymphatic vessels in their respective regions. 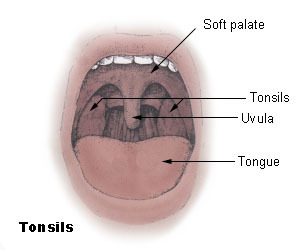 Each jugular lymph sac retains at least one connection with its jugular vein, the left one developing into the superior portion of the thoracic duct. The next lymph sac to appear is the unpaired retroperitoneal lymph sac at the root of the mesentery of the intestine. It develops from the primitive vena cava and mesonephric veins. Capillary plexuses and lymphatic vessels spread from the retroperitoneal lymph sac to the abdominal viscera and diaphragm. The sac establishes connections with the cisterna chyli but loses its connections with neighbouring veins. The spleen develops from mesenchymal cells between layers of the dorsal mesentery of the stomach. The thymus arises as an outgrowth of the third pharyngeal pouch. 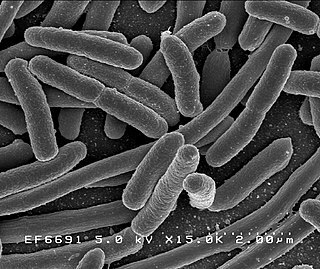 Nutrients in food are absorbed via intestinal vili (greatly enlargened in the picture) to blood and lymph. Long-chain fatty acids (and other lipids with similar fat solubility like some medicines) are absorbed to the lymph and move in it enveloped inside chylomicrons. They move via thoracic duct of the lymphatic system and finally enter the blood via the left subclavian vein thus bypassing the liver's first pass metabolism completely. Lymph vessels called lacteals are at the beginning of the gastrointestinal tract, predominantly in the small intestine. 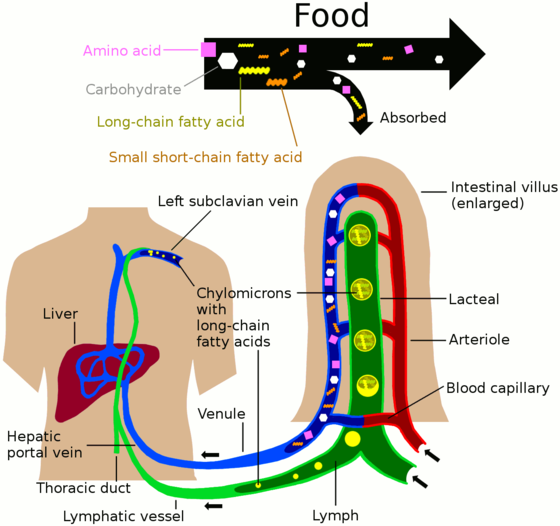 While most other nutrients absorbed by the small intestine are passed on to the portal venous system to drain via the portal vein into the liver for processing, fats (lipids) are passed on to the lymphatic system to be transported to the blood circulation via the thoracic duct. (There are exceptions, for example medium-chain triglycerides are fatty acid esters of glycerol that passively diffuse from the GI tract to the portal system.) The enriched lymph originating in the lymphatics of the small intestine is called chyle. The nutrients that are released into the circulatory system are processed by the liver, having passed through the systemic circulation. The lymphatic system plays a major role in the body's immune system, as the primary site for cells relating to adaptive immune system including T-cells and B-cells. Cells in the lymphatic system react to antigens presented or found by the cells directly or by other dendritic cells. When an antigen is recognized, an immunological cascade begins involving the activation and recruitment of more and more cells, the production of antibodies and cytokines and the recruitment of other immunological cells such as macrophages. The study of lymphatic drainage of various organs is important in the diagnosis, prognosis, and treatment of cancer. The lymphatic system, because of its closeness to many tissues of the body, is responsible for carrying cancerous cells between the various parts of the body in a process called metastasis. The intervening lymph nodes can trap the cancer cells. If they are not successful in destroying the cancer cells the nodes may become sites of secondary tumours. Lymphedema can also occur after surgical removal of lymph nodes in the armpit (causing the arm to swell due to poor lymphatic drainage) or groin (causing swelling of the leg). Conventional treatment is by manual lymphatic drainage and compression garments. Two drugs for the treatment of lymphedema are in clinical trials: Lymfactin  and Ubenimex/Bestatin. Lymphangiosarcoma is a malignant soft tissue tumour, whereas lymphangioma is a benign tumour occurring frequently in association with Turner syndrome. Lymphangioleiomyomatosis is a benign tumour of the smooth muscles of the lymphatics that occurs in the lungs. Lymphoid leukaemia is another form of cancer where the host is devoid of different lymphatic cells. The adjective used for the lymph-transporting system is lymphatic. The adjective used for the tissues where lymphocytes are formed is lymphoid. Lymphatic comes from the Latin word lymphaticus, meaning "connected to water." Extracellular fluid (ECF) denotes all body fluid outside the cells of any multicellular organism. Total body water in healthy adults is about 60% of total body weight; women and the obese have a lower percentage than lean men. About two thirds of this is intracellular fluid within cells, and one third is the extracellular fluid. The main component of the extracellular fluid is the interstitial fluid that surrounds cells. The interstitium is a contiguous fluid-filled space existing between a structural barrier, such as a cell wall or the skin, and internal structures, such as organs, including muscles and the circulatory system. The fluid in this space is called interstitial fluid, comprises water and solutes, and drains into the lymph system. The interstitial compartment is composed of connective and supporting tissues within the body – called the extracellular matrix – that are situated outside the blood and lymphatic vessels and the parenchyma of organs. Myeloid tissue, in the bone marrow sense of the word myeloid, is tissue of bone marrow, of bone marrow cell lineage, or resembling bone marrow, and myelogenous tissue is any tissue of, or arising from, bone marrow; in these senses the terms are usually used synonymously, as for example with chronic myeloid/myelogenous leukemia. White pulp is a histological designation for regions of the spleen, that encompasses approximately 25% of splenic tissue. White pulp consists entirely of lymphoid tissue. Lymph capillaries or lymphatic capillaries are tiny, thin-walled microvessels located in the spaces between cells which serve to drain and process extracellular fluid. Upon entering the lumen of a lymphatic capillary, the collected fluid and associated cells is known as lymph. 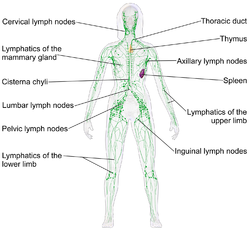 Each lymphatic capillary carries lymph into a lymphatic vessel, which in turn connects to a lymph node. Lymph is ultimately returned to the venous circulation. Lymphocyte homing receptors are cell adhesion molecules expressed on lymphocyte cell membranes that recognize addressins on target tissues. Lymphocyte homing refers to adhesion of the circulating lymphocytes in blood to specialized endothelial cells within lymphoid organs. These diverse tissue-specific adhesion molecules on lymphocytes and on endothelial cells contribute to the development of specialized immune responses. 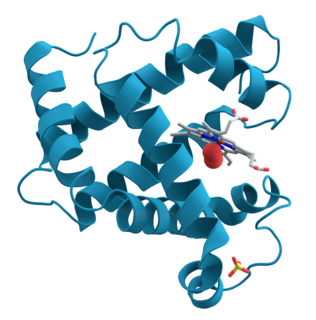 Lutzner cells were discovered by Marvin A. Lutzner, Lucien-Marie Pautrier, and Albert Sézary. These cells are also referred to as Pautrier’s abscess, Sézary’s cell, or Sézary-Lutzner cells. They are a form of T-lymphocytes that has been mutated This atypical form of T-lymphocytes contains T-cell receptors on the surface and is found in both the dermis and epidermis layers of the skin. Since Lutzner cells are a mutated form of T-lymphocytes, they develop in bone marrow and are transported to the thymus is order to mature. The production and maturation stages occur before the cell has developed a mutation. Lutzner cells can form cutaneous T-cell lymphoma, which is a form of skin cancer. ↑ "Lymph - Definition and More from the Free Merriam-Webster Dictionary". www.merriam-webster.com. Retrieved 2010-05-29. ↑ Mak TW, Saunders ME, Saunders ME (2008). Primer to the immune response. Academic Press. pp. 28–. ISBN 978-0-12-374163-9 . Retrieved 12 November 2010. 1 2 Warwick R, Williams PL. "Angiology (Chapter 6)". Gray's anatomy (Thirty-fifth ed.). London: Longman. pp. 588–785. ↑ Wisco J. "Lymphatic System". AnatomyOne. Amirsys, Inc. Archived from the original on 18 May 2016. Retrieved 26 October 2012. ↑ Yin C, Mohanta S, Maffia P, Habenicht AJ (6 March 2017). "Editorial: Tertiary Lymphoid Organs (TLOs): Powerhouses of Disease Immunity". Frontiers in Immunology. 8: 228. doi:10.3389/fimmu.2017.00228/full. PMID 28321222. ↑ Ruddle NH (March 2014). "Lymphatic vessels and tertiary lymphoid organs". The Journal of Clinical Investigation. 124 (3): 953–9. doi:10.1172/JCI71611. PMC 3934190 . PMID 24590281. ↑ Goldsby R, Kindt TJ, Osborne BA, Janis K (2003) . "Cells and Organs of the Immune System (Chapter 2)". Immunology (Fifth ed.). New York: W. H. Freeman and Company. pp. 24–56. ISBN 0-7167-4947-5. 1 2 Miller JF (July 2002). "The discovery of thymus function and of thymus-derived lymphocytes". Immunological Reviews. 185 (1): 7–14. doi:10.1034/j.1600-065X.2002.18502.x. PMID 12190917. 1 2 Swirski FK, Nahrendorf M, Etzrodt M, Wildgruber M, Cortez-Retamozo V, Panizzi P, et al. (July 2009). "Identification of splenic reservoir monocytes and their deployment to inflammatory sites". Science. 325 (5940): 612–6. doi:10.1126/science.1175202. PMC 2803111 . PMID 19644120. ↑ Jia T, Pamer EG (July 2009). "Immunology. Dispensable but not irrelevant". Science. 325 (5940): 549–50. doi:10.1126/science.1178329. PMC 2917045 . PMID 19644100. ↑ Angier, Natalie (August 3, 2009). "Finally, the Spleen Gets Some Respect". The New York Times. Archived from the original on 2018-01-27. ↑ Blackbourne LH (2008-04-01). Surgical recall. Lippincott Williams & Wilkins. p. 259. ISBN 978-0-7817-7076-7. ↑ "Penicilliary radicles". Saunders Comprehensive Veterinary Dictionary (3rd ed.). Elsevier, Inc. 2007. Retrieved 2011-04-03– via The Free Dictionary by Farlex. ↑ "Spleen: Information, Surgery and Functions". Childrens Hospital of Pittsburgh - Chp.edu. 2010-11-17. Archived from the original on 2011-09-26. Retrieved 2011-04-03. ↑ Louveau A, Smirnov I, Keyes TJ, Eccles JD, Rouhani SJ, Peske JD, et al. (July 2015). "Structural and functional features of central nervous system lymphatic vessels". Nature. 523 (7560): 337–41. doi:10.1038/nature14432. PMC 4506234 . PMID 26030524. Lay summary –National Institutes of Health. we discovered functional lymphatic vessels lining the dural sinuses. These structures express all of the molecular hallmarks of lymphatic endothelial cells, are able to carry both fluid and immune cells from the cerebrospinal fluid, and are connected to the deep cervical lymph nodes. The unique location of these vessels may have impeded their discovery to date, thereby contributing to the long-held concept of the absence of lymphatic vasculature in the central nervous system. The discovery of the central nervous system lymphatic system may call for a reassessment of basic assumptions in neuroimmunology and sheds new light on the aetiology of neuroinflammatory and neurodegenerative diseases associated with immune system dysfunction. ↑ "Definition of lymphatics". Webster's New World Medical Dictionary. medicineNet.com. Retrieved 2008-07-06. ↑ Vittet D (November 2014). "Lymphatic collecting vessel maturation and valve morphogenesis". Microvascular Research. 96: 31–7. doi:10.1016/j.mvr.2014.07.001. PMID 25020266. ↑ Heppell C, Richardson G, Roose T (January 2013). "A model for fluid drainage by the lymphatic system". Bulletin of Mathematical Biology. 75 (1): 49–81. doi:10.1007/s11538-012-9793-2. PMID 23161129. ↑ Bazigou E, Wilson JT, Moore JE (November 2014). "Primary and secondary lymphatic valve development: molecular, functional and mechanical insights". Microvascular Research. 96: 38–45. doi:10.1016/j.mvr.2014.07.008. PMC 4490164 . PMID 25086182. 1 2 3 4 Pansky B (1982). Review of Medical Embryology. Embryome Sciences. p. 127. ↑ "The functions of the Lymphatic System". lymphnotes.com. Retrieved Feb 25, 2011. 1 2 3 Colledge NR, Ralston SH, Walker BR, eds. (2011). Davidson's principles and practice of medicine (21st ed.). Edinburgh / New York: Churchill Livingstone / Elsevier. pp. 1001, 1037–1040. ISBN 978-0-7020-3085-7. OCLC 844959047. ↑ Douketis JD. "Lymphedema". Merck Manual. ↑ Herantis Pharma (2015-07-21). "Lymfactin® for lymphedema". ↑ Martín ML, Hernández MA, Avendaño C, Rodríguez F, Martínez H (March 2011). "Manual lymphatic drainage therapy in patients with breast cancer related lymphoedema". BMC Cancer. 11 (1): 94. doi:10.1186/1471-2407-11-94. PMC 3065438 . PMID 21392372. ↑ Anthony S. Fauci; Eugene Braunwald; Dennis Kasper; Stephen Hauser; Dan L. Longo (19 March 2009). Harrison's Manual of Medicine. McGraw Hill Professional. pp. 352–. ISBN 978-0-07-147743-7 . Retrieved 12 November 2010. 1 2 3 4 5 6 7 Ambrose CT (July 2006). "Immunology's first priority dispute--an account of the 17th-century Rudbeck-Bartholin feud". Cellular Immunology. 242 (1): 1–8. doi:10.1016/j.cellimm.2006.09.004. PMID 17083923. 1 2 3 Fanous MY, Phillips AJ, Windsor JA (July 2007). "Mesenteric lymph: the bridge to future management of critical illness". JOP. 8 (4): 374–99. PMID 17625290. 1 2 3 4 5 Flourens P (1859). "Chapter 3: Aselli, Pecquet, Rudbeck, Bartholin". A History of the Discovery of the Circulation of the Blood. Rickey, Mallory & company. pp. 67–99. Retrieved 2008-07-11. 1 2 Eriksson G (2004). "[Olaus Rudbeck as scientist and professor of medicine]". Svensk Medicinhistorisk Tidskrift (in Swedish). 8 (1): 39–44. PMID 16025602. ↑ Turner AL (1937). Story of a Great Hospital: The Royal Infirmary of Edinburgh 1729-1929. Oliver and Boyd. p. 360. ↑ lympha . Charlton T. Lewis and Charles Short. A Latin Dictionary on Perseus Project . 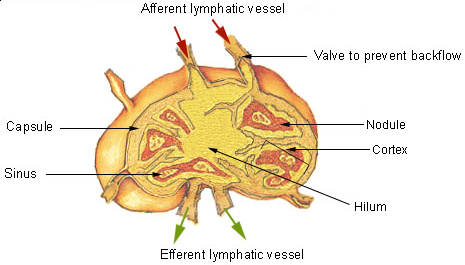 Wikimedia Commons has media related to Lymphatic system .